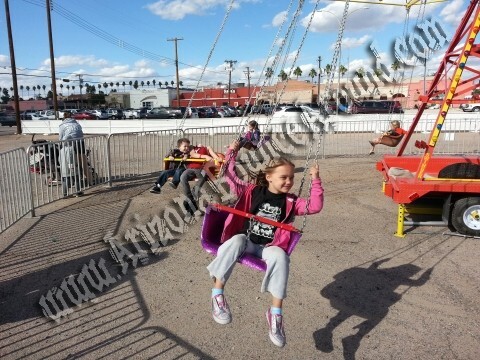 Our carnival swing ride holds up to 16 riders at a time including kids and adults up to 185 pounds. Our swing ride comes complete with 4 double seats and 8 single seats. 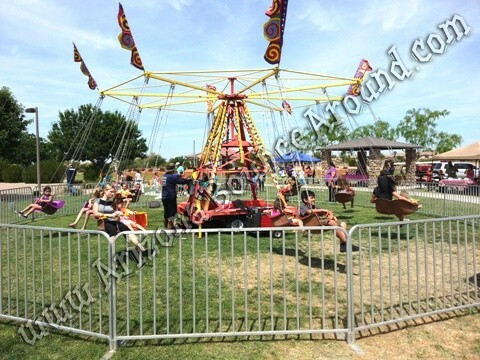 This carnival swing ride comes complete with fencing, carnival ride safety signs, LED carnival lights, generator and 1 staff to operate. 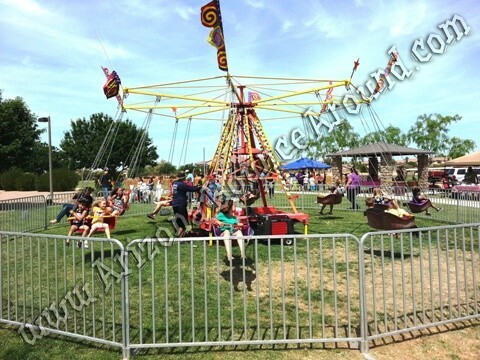 It can be set up on most any surface and will be a big hit at your carnival or event so rent one today. Lots of information about our carnival swing ride rental available here. 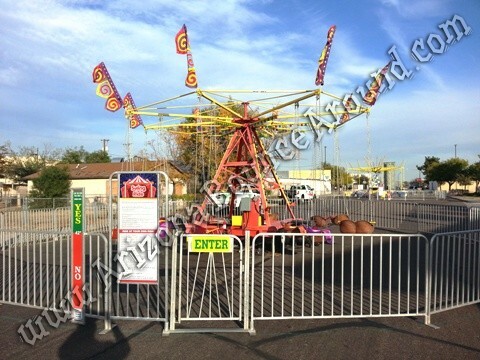 All of our carnival rides are state inspected and required in the state of Arizona so dont rent a carnival ride from any company that does not have a current state inspected Swing Ride.